The Elo Smart Solution roaster scores with high quality and functionality. 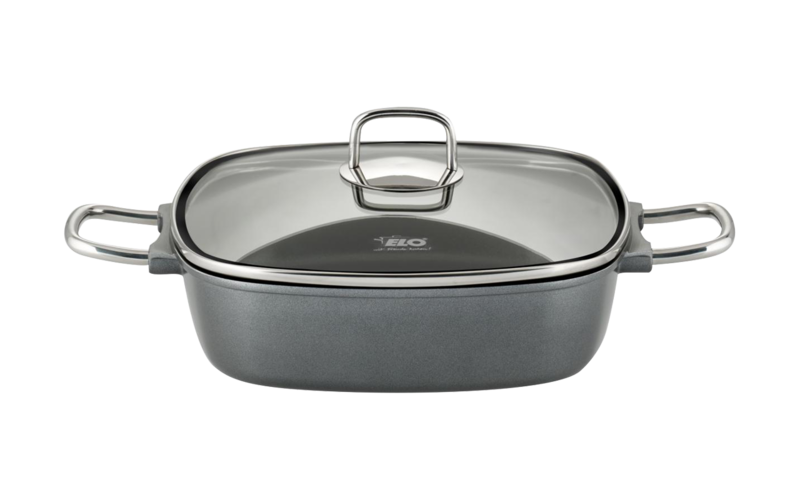 In the same way as the cooking pot set in the Smart Solution series, it can be used for standard and low-fat cooking. Therefore, it features two different rings on its bottom, which help to dose a teaspoon (smaller ring) or a tablespoon (larger ring) of oil. The roaster is made of Teflon and silicone and comes with a glass lid.